You truly have to measure, measure, measure. Every area in your life where you want to get somewhere you have to measure your progress. If you don’t, how will you ever know if you are on the right path or when you are there? Everything and anything in life where you want to progress and get somewhere specific, you have to measure! If you don’t have any goals in any area of you life, maybe you don’t have to measure anything as you most likely won’t achieve much anyway. If you on the other hand want to get places and have gone through our structure of setting goals and visions for you and your family’s future, then you will also understand why it is so important to measure your progress. Every goal you have set in each aspect of your life, should be measured. That is the only way you know that you are making progress and whether you are making progress in the direction you want to go! Let me give you an example: Say that you want to have 100,000 USD in your account. If you don’t know how much you have, nor how much you get/make, how are you ever going to know if you are there? Of course you would have to measure it all the time so that you know how much is being added and how much is being deducted so that you clearly can see where you are. So really, any area of your life, where you want to make progress, you have to make sure you have something relevant to measure. Meaningful progress is some of the most rewarding experiences we can feel! Let us continue with the previous example linked to money. In this instance you make sure that you have an account to which all your income goes. You do the same thing for your expenses (could even be the same account). By tracking it consistently (frequency depending on the number of transactions) you will always know exactly where you are and if you are moving in the right or wrong direction. This is the foundation of healthy personal finances. You know your income and you track your expenses making sure you never spend more than you make. Money in versus money out. For instance, if you want to have more money, you have to make sure you know that you are spending less than what you make. That is the first step, if you do, the amount of money you have will increase! Then if you want it to happen faster, there a many alternatives but the most obvious ones are to either spend less or make more! Obviously you can only spend so much less as you still have to live but there are no limitations as to how much you can make. So if you want to reach that 100,000 USD, there are numerous ways and by constantly measuring the amount of money flowing in or out of your account, you can make changes to reach that goal of yours much faster. The answer to the question of WHY measuring is pretty simple. If you have goals and dreams in life and you really want to get there, you will have to make sure you measure your progress and take appropriate action for you to reach them. 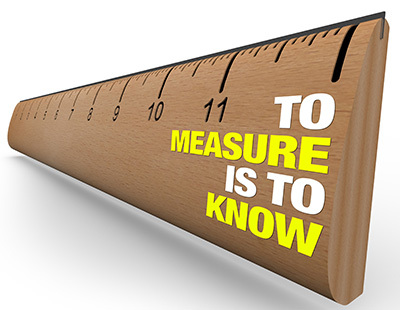 If you don’t measure, most likely you will never get there and even if you do, you wouldn’t know! Always make sure you measure your progress towards your goals and dreams and adjust accordingly to speed up the process. However, don’t forget to enjoy the journey by acknowledging all the progress you are constantly making on your way towards those goals of yours!